Kathryn Zerbe is shown with her newly published book, "The Body Betrayed : women, eating disorders and treatment. 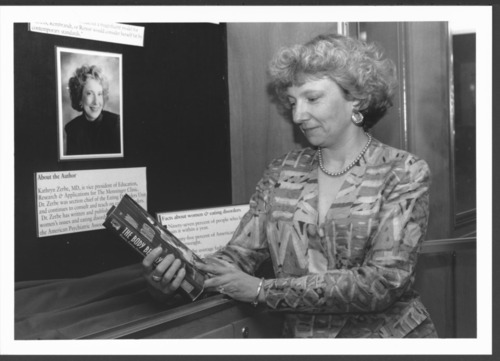 Dr. Zerbe wrote extensively on women's issues." She was vice president of Education, Research and Applications and also the section chief of the Eating Disorders unit at Menninger Clinic in Topeka, Kansas.